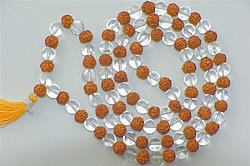 Sphatik or Crystal Mala is made up of 108 plus1 bead as Sumeru or the crown bead. The beads are clear and round in shape. 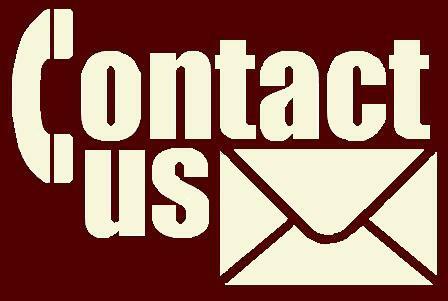 It is a white and transparent stone also called Quartz .According to Astrology Sphatik (Crystal) is related to Venus. 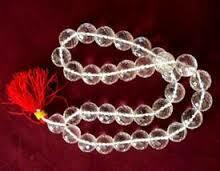 Rosary made from Sphatik crystal gives concentration, cools the body, and calms the mind. Sphatik (Crystal) Mala brings down the body heat of the wearer. 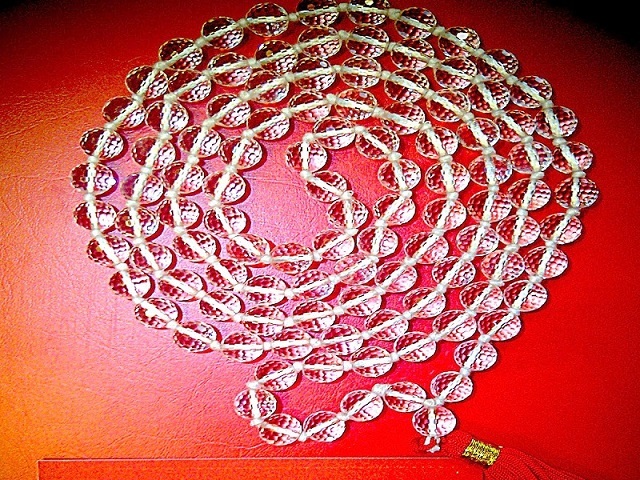 This can be used for meditation purposes also.All Mala/Rosary are of 108 Beads.It is also used in chanting Mantras of Venus / Shukra.